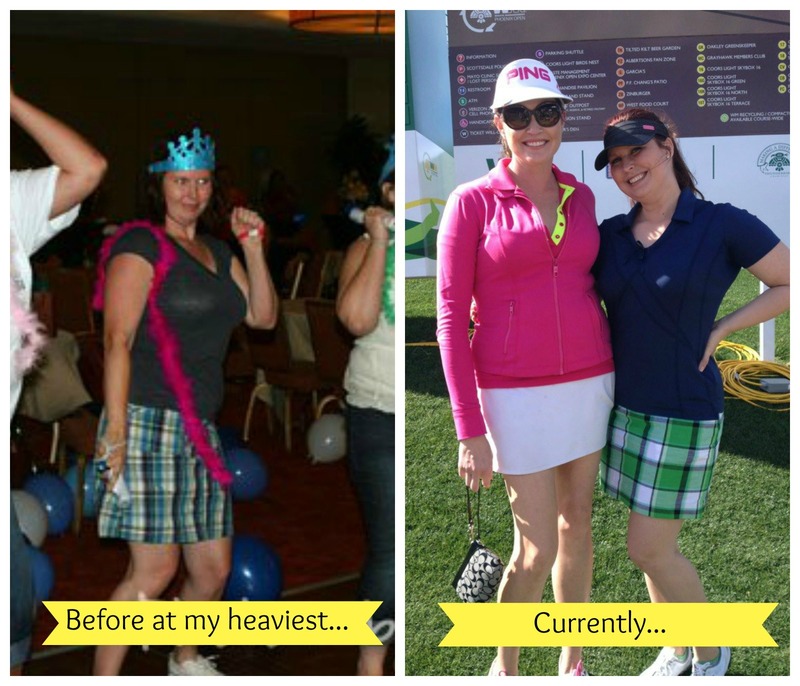 Fitness Turnaround: You Can Do It! Since September… I’ve been making changes. Big changes to my level of activity. And four months ago… I joined the #ShakleeBlogger #Shaklee180 team. In case you’ve not been following along… Shaklee produces products to assist in a healthy change of diet. I’ve been having a protein bar at breakfast, a regular lunch and a protein shake at dinner. This last month… I moved on from the Turnaround kit to the Lean and Healthy kit. I’m learning to make healthier meals and snacks to last throughout my day. It’s not been easy. It’s a transition in habit… but I’m managing. I think the key to my success has been exercise. Let me share with you what a typical exercise routine for me might look like. Kickboxing require some special equipment. I purchased some comfortable workout clothes, hand wraps and boxing gloves. I also joined a UFC gym. I personally went through the hour of cardio kickboxing without shoes. Some people did wear athletic shoes to kick the bag. Classes are an hour long and begin with stretching and some heart raising exercises like jumping jack and the eve infamous burpees! From there… we go into the combinations of punches and kicks. It doesn’t take long to pick these up. You’ll be punching and kicking the daylights out of your bag in no time! Following the combinations… we do core strengthening exercises: crunches, planking, and other torturous movements. Then there’s a cool down. After a class of hard work… I’ve burned about 800 calories! Kickboxing has been amazing. I took up running in the last month. Running takes some special equipment too. I visited a special running store and they took video of my running stride. This allowed them to see what sort of shoe I needed to be wearing. This was a big deal for me. I’ve never been able to find the right show that felt comfortable to run in. I don’t even wear shoes very often to begin with! It turns out… I was wearing the wrong size of running shoe in the past. The toe box needs to have room for your foot to swell. Who knew? Not me! Also… I found out that I have the perfect mid-foot stride. That made me proud :) Haha. So besides shoes… because it’s summer time and I want to be sure I have enough water… so I bought a Camelback. I also purchased a slightly different set of athletic clothes for my runs. I’ve been running roughly 3 miles a few times a week. And I’ve also been taking to a trail loop on a mountain area next to my house. I love that I live next to a desert preserve! Get out there and do something! You can do it! I’m happy to help you in any way that I can. So what are you doing to get active now? Or what do you plan on doing? Dis­clo­sure: This is a spon­sored post as part of the Shak­lee Cor­po­ra­tion blog­ger pro­gram. I will be receiv­ing free prod­ucts, online support and incen­tive for par­tic­i­pat­ing. I’d never share anything with you that I didn’t actually try myself… because I love you and respect you as my friends and readers. Peo­ple fol­low­ing the weight-loss por­tion of the Shak­lee 180™ Pro­gram can expect to lose 1–2 pounds per week. I’m supposed to write about things I like about myself this month… but it’s more difficult than I imagined it would be. Even my video for this month was a simple walk through of the new Lean & Healthy Kit that I received. It’s difficult to talk about the things I love about myself, when other forces in my life are at work to tear me down. I’m feeling overwhelmed. Time is shorter. I have more on my plate. The gym was once a top priority and in this third month… I found my priorities shifting. Work tops the gym. Sleep tops the gym. Time with my kiddos tops the gym. The gym weighs on my heart and makes me feel guilty. I’ve wanted to take on running. I stated that in my month 2 post and video. Did I do it? No. Not really. I did realize that the treadmill holds me back and I’d much rather run outside. I’m missing appropriate shoes now. What a ridiculous thing to hold me back. Waking up at 5:30 am with the cool morning sun and playing Candy Crush on my phone makes me feel icky about myself. It’s becoming very easy to write the things I don’t like about myself. But that’s not my assignment. My assignment is to share the things I do like about myself. It’s just so hard to find those things with the dark and disheartening things rise to the top. But will try. I need to try. I like that I’m a good friend. I like that I’m a giving soul. I like my new hair cut. I like that I choose joy. I like that I am learning to give myself permission to fail. What do you like about yourself? Let me know in the comments. I’d love to learn more about you. As you may have read… I’m part of a blog campaign with Shaklee. I started off this journey with such high ambitions. I was motivated. I was losing weight. I was empowered. I’m using the word “was” a lot… I’m just not any of those things right now. I’ve not gained back any of the weight. I’m just stuck. The gym feels routine when it once felt exciting. My food feels bland and boring when it once felt like a healthy change. Perhaps I just need to change up my workout routine. 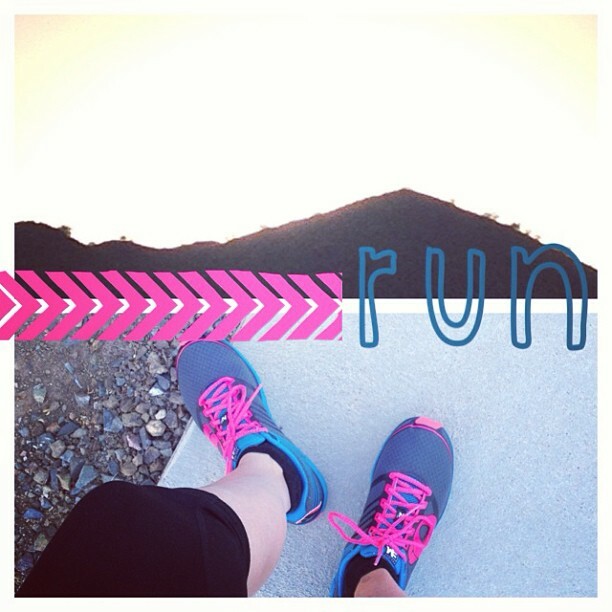 Have you tried Couch to 5K? I’m really considering it and that’s a huge deal because I HATE to run. 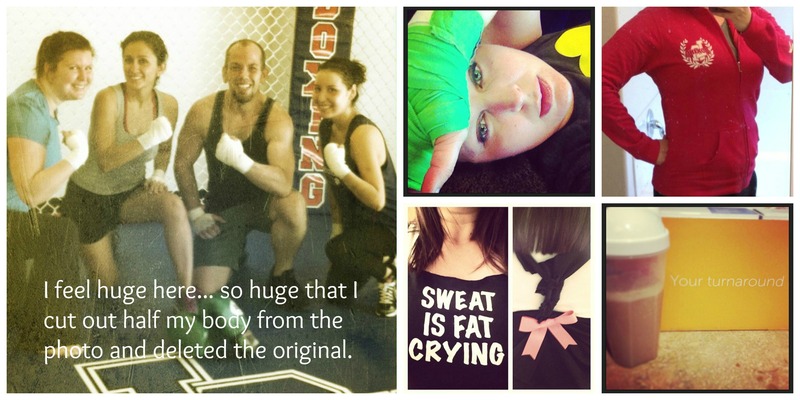 But in all seriousness… even my kickboxing instructors have told me I need to switch it up. Even if I am just switching time slots. Your body gets used to the movements… the routine. I mean… I did lose 20 pounds kickboxing. But maybe I’ll continue losing if I switch things up a bit. My friends in the #Shaklee180 Facebook group go through similar struggles. I know I’m not alone in this. It’s nice to have other people to talk to and share ideas with. The one thing that has remained constant in the last month has been my morning routine. I can’t seem to start my day without my Shaklee Meal-in-a-Bar and a huge coffee. Black. It’s how I wake up and get going and most importantly… stay full until lunch. That really sums up my biggest challenge this month… meal planning. Although my breakfast routine is the same… my lunch and dinner routines have been out of whack. Now that it’s May and a new month… I’m going to work very hard on getting back into a solid routine. I can do this! How do you overcome the challenges you’re facing? If you follow me on Instagram, on Twitter or if we’re Facebook friends… you’ve no doubt seen my fitness posts. Over the last 6 months… I’ve been working very hard in the gym. 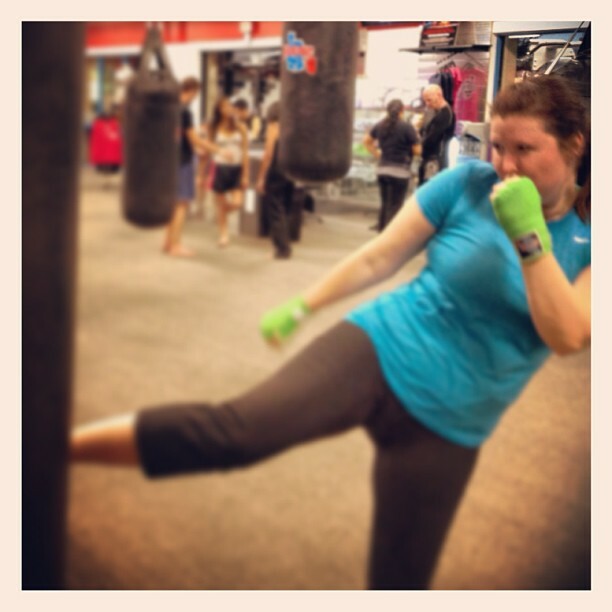 I joined a UFC gym and took up kickboxing! It’s changed my life! I did a vlog about it the other day… but to recap… I gained new friends, new strength, and lost 20 pounds! But then… I stopped losing. There is only so much that exercise will do for me if I’m not paying attention to what I’m eating. For the over 50 years… Shaklee has been producing natural health products. Thirty days ago… I joined a team of bloggers who all embarked on a journey together. A fitness journey. We’ll be together for 90 days on the #Shaklee180 program and 90 more days of support. We’re swapping donuts for Blueberry Almond Meal Bars. And ditching calorie laden dinners for delicious shakes. Even snacking is a part of the program! Let me walk you through my day. Something very normal with my co-workers… like a chicken sandwich and some fries at Red Robin. Yeah. I’m still eating fries. Is that my best choice? No. But I’m allowed 1200 calories a day and I make fries a part of that occasionally! Plus… I just have to get out of the office sometimes. I’m hungry again around 3pm or so. I grab a Shaklee 180 Snack bar. I’m a fan of them all… but particularly the Crunchy Peanut Butter. I burn about 800 every time I walk into the gym. I’ll do at least 1 hour of cardio-kickboxing. Sometimes I add on 30 minutes of personal training, a run on the treadmill or weight training. After an intense workout… I don’t want to eat. I feel like I need to replenish! So… I make a Shaklee 180 Energizing Smoothee. I often will add baby spinach, frozen fruit, or a touch of peanut butter. 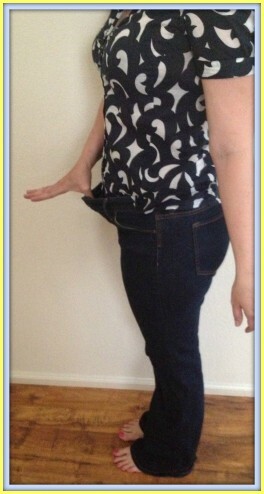 After 30 days of being a part of this program… I’ve lost another 5 pounds. But it’s not the pounds I’m really focused on. It’s the inches. The inches have been falling off! I’m not going to say that it’s all been unicorns and rainbows. I’ve not stuck to my plan everyday. But the fact that I’m making a conscious effort to track my calories and make healthier food choices is HUGE for me! I’d really love it if you followed me along on this journey for the next couple of months. Your support and encouragement means more to me than you know. Thank you friends! Note: I am receiving the Shaklee 180 program free for 90 days. All I have to do is share my progress through a video diary and blog post each month. Peo­ple fol­low­ing the weight-loss por­tion of the Shak­lee 180™ Pro­gram can expect to lose 1–2 pounds per week.